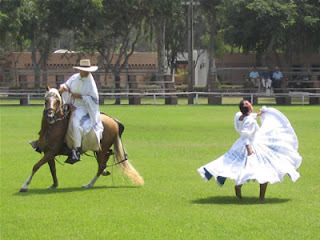 Riding the "Smoothest Saddle Horse in the World"
Peru, especially Trujillo, is know worldwide for it’s “Caballos de Paso” (Peruvian “Paso” or Step Horses), which are know to be the smoothest saddle horses in the world. Here are some pictures of our visit to one of the local Horse Associations for a morning of riding and a show performed by the caballeros and dancing horses. The girls, along with their friend Millie Baker, had a great time. Click here to read more about the interesting history and origin of these horses. Previous postIntroducing Eloise & Andrew. . .
Next postHappy 4th Birthday Adeline!